Zer is the solo project of Miguel Navarrete, a talented and hard-working youngster from the Sonora Desert, Mexico. His journey into psychedelics started in the early years of 2008 where he started playing DJ sets locally before getting into production. Years later he has developed his own approach to sound design and arrangement. With punchy bass lines, intricate breakdowns, and challenging atmospheres he seeks to stimulate the imagination and build awareness of strong psychedelic musical experiences. 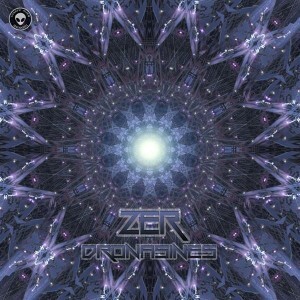 Lunatic Alien Records is proud to release Dronasines, a powerful debut release from the new generation of underground musicians. Don’t be surprised to see this lunatic blast a dance floor near you! MP3 Download | FLAC Download | WAV Download · Download count: 7,768.